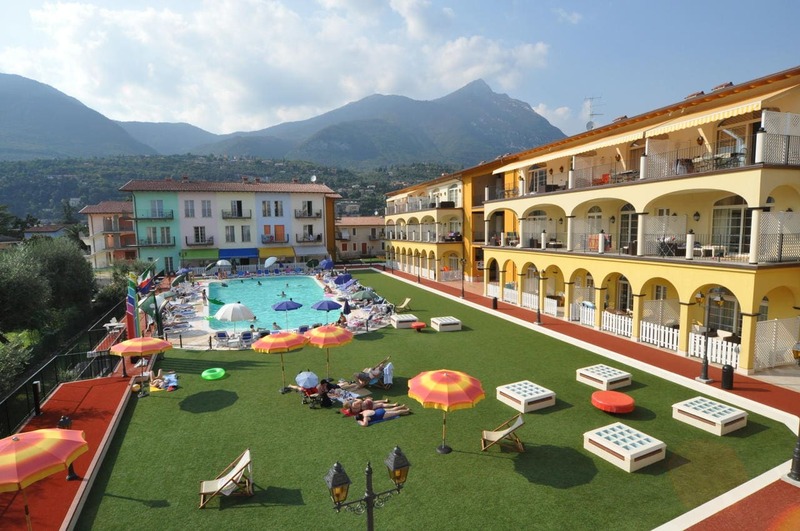 Offering a garden with outdoor pool open all year and a fitness centre, Giardino dei Colori is a 5-minute walk from Lake Garda. Private parking is available for free on site. With views of the pool, apartments have a kitchen or kitchenette with dishwasher. They are equipped with a washing machine, a flat-screen TV and air conditioning. Thanks to the proximity to Lake Garda, guests of Giardino dei Colori can enjoy a variety of fitness activities within 4 km of the property, including tennis, golf and water skiing. The city of Desenzano del Garda is a 45-minute drive from the property, while Brescia is 45 km away.